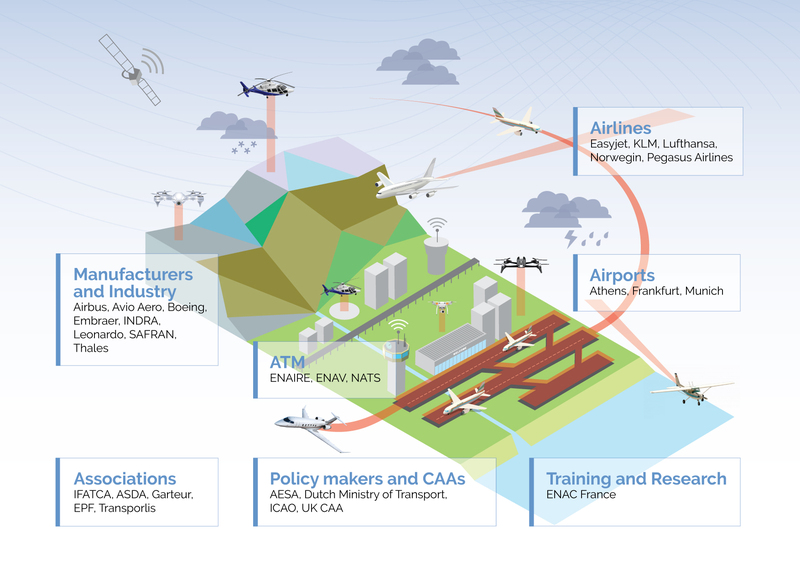 The OPTICS2 Consortium is supported by Technical and Scientific Advisory Boards, covering all the segments of the aviation and air transport fields. It includes high-level experts employed in Airlines, ANSPs, Airport, Manufactures, Organisation dealing with drones, CAAs, Political institutions, Training and Research Centres, Associations, and Academy. It is an open list, thus other relevant stakeholders could be invited to join both the Technical and the Scientific Advisory Boards. The Technical Advisory Group is a group of experts operating in different fields of the air transport system. Its role is to bring the end-user’s view into the project. The Scientific Advisory Board is a group of experts coming from the academic world. Its role is to review the OPTICS2 activities and provide recommendations on the methodology. Members of the Scientific Advisory Board have been chosen to ensure a proper coverage of the areas of the SRIA.